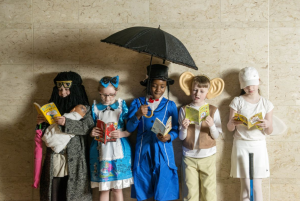 Students at Saint Rose of Lima School in Glasgow, Scotland, celebrate World Book Day. Research revealed on World Book Day (WBD) suggests that a quarter of eight to 11-year-olds would not own a book without the initiative. WBD was founded in the UK by Baroness Gail Rebuck, who is also chair of Penguin Random House UK and founder of charity Quick Reads. She said: “In 1997 the level of children’s engagement with reading was at a point of national crisis. The previous year a government report had been released showing that 42% of 11-year-olds failed to achieve level 4 in reading and writing on entry to secondary school. 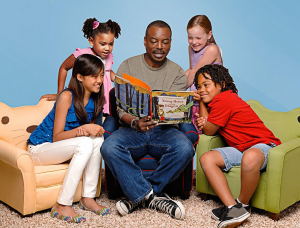 We wanted to do something to reposition reading and our message is the same today as it was then – that reading is fun, relevant, accessible, exciting, and has the power to transform lives. I’ve seen first-hand how World Book Day has affected social change and long may it continue.” Read more here. 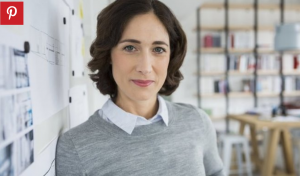 10 Habits Of Mentally Strong People. You have to be kind to people who are rude to you. Mental strength is a choice and a discipline, not an innate quality bestowed upon the lucky. Dr. Travis Bradberry unveils the habits they rely on so that you can start using them today. Dr. Travis Bradberry is Coauthor of EMOTIONAL INTELLIGENCE 2.0 & President at TalentSmart. Despite West Point Military Academy’s rigorous selection process, one in five students drop out by graduation day. A sizeable number leave the summer before freshman year, when cadets go through a rigorous program called “Beast.” Beast consists of extreme physical, mental, and social challenges that are designed to test candidates’ perseverance. University of Pennsylvania psychologist Angela Duckworth conducted a study in which she sought to determine which cadets would make it through the Beast program. The rigorous interviews and testing that cadets went through to get into West Point in the first place told Angela that IQ and talent weren’t the deciding factors. So, Angela developed her own test to determine which cadets had the mental strength to conquer the Beast. She called it the “Grit Scale,” and it was a highly accurate predictor of cadet success. The Grit Scale measures mental strength, which is that unique combination of passion, tenacity, and stamina that enables you to stick with your goals until they become a reality. Here is a link to this article in The Huffington Post 02/25/2017. 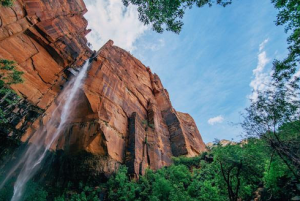 Nature is a pathway to health and happiness. Can 3 and 4 year olds climb mountains? We found out by taking part in the weekly nature explore excursion of Daisies Early Education and Care Centre in Wellington, New Zealand. 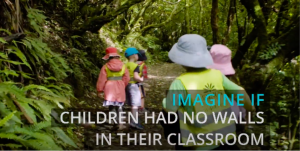 Watch this 7 minute video and hear from Dr. Anne Meade about how you can incorporate nature into your curriculum, and the incredible learning that can happen when you do. Help your child learn life's little lessons with songs and tips. 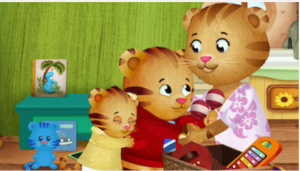 Explore a library of Daniel Tiger's Neighborhood songs, paired with tips, to help your little one learn and grow. This new free app for parents from PBS KIDS (available in English and Spanish) is now available on iTunes or Google play. You don’t have to spend a lot of money and time creating exciting sensory and play materials for children to spend hours exploring with touch, language and imagination. Philip Pullman said that "after nourishment, shelter, and companionship, stories are the thing we need most in the world." Any person breathing knows this to be true. From telling stories around the fire, to the invention of the printing press, to binge-watching Netflix, our culture has always revolved around stories. It is through stories that we define our world and discover our place in it. To be literate is to be on the pathway to becoming a lifelong learner, and literacy is essential if we're to have educated individuals and a truly free society. How Do We Inspire Our Kids to Love Reading? Read his advice HERE! 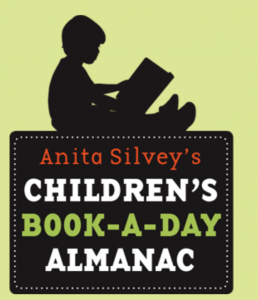 Enjoy Anita Silvey's Children's Book A Day Almanac for book suggestions ranging from Babies and Toddlers through Teens and All Ages, and informative, insightful essays by a children's book expert. "Daily children’s book recommendations and events from Anita Silvey. Discover the stories behind the children’s book classics . . . The new books on their way to becoming classics . . . And events from the world of children’s books—and the world at large." "You must train the children to their studies in a playful manner." " 'Nothing without joy!' 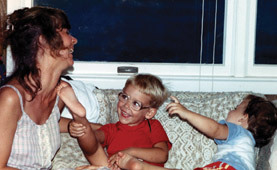 Children expect from adults the capacity to offer joy. They expect everybody to be the bearers of joy." "Proust described a glorious day in childhood made timeless through the 'divine pleasure' that is reading." Maryanne Wolf in Proust and the Squid: The Story and Science of the Reading Brain. Harper Perennial, 2007. One of my favorite authors, Marcel Proust, once compared special people to gardeners. He wrote, "Let us be grateful to people who make us happy; they are the charming gardeners who make our souls blossom." Who or what invites you to feel happy? Can you remember a time you felt your soul was blossoming like a flower? I am happiest when I am with children. My friend Quinn says, "Nothing can make you laugh like a two-year-old can." Please take a moment to share your thoughts on the importance of joyful laughter.